Brisbane Girls Grammar School embraces the arts and values the intellectually engaging intersection of lateral thought and practice it inspires. Through carefully sequenced programs in Drama, Visual Art and Music, students interrogate the human experience—they challenge ideas and seek to deepen their understanding of their place in the world. Grammar girls engage with teachers-as-artists who provoke alternative ways of seeing, thinking and doing. 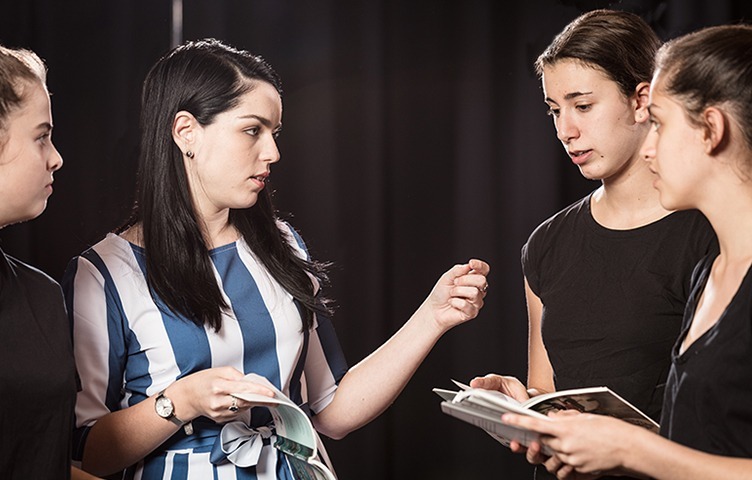 A collaborative and highly practical workshop practice is fundamental to our Drama classrooms, as students generate questions that guide their process and deepen their understanding of the actor-audience relationship. Visual Art students use imagination and creativity to solve problems and experiment with visual language and expression. Interactions with artists, artworks, institutions and communities enrich the girls’ experiences and understandings of their own art practice, and the wider industry. Girls Grammar prepares Music students for a future of unimagined possibilities. Girls develop the capacity for flexible thought and action, and authentically practise being music performers, composers and audiences. 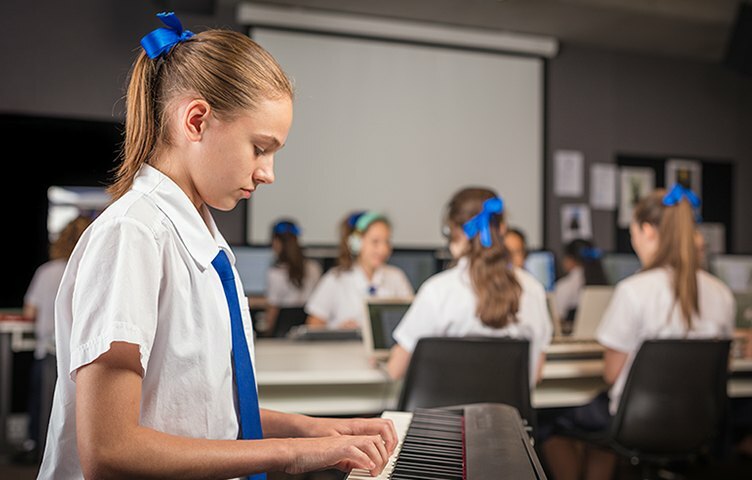 By selecting a combination of Creative Arts subjects in an academic program, girls can develop a suite of skills that are applicable to a range of professions in their lives beyond school. The rich performance traditions of Drama allow students to look to the past with curiosity, while developing a unique artistic voice to express powerful ideas. Our approach to teaching and learning reflects contemporary theatre practice and sees students innovate, create and perform. The Junior Drama course builds confidence and effective communication skills. It also encourages a healthy attitude to creative risk-taking as students develop foundational performance skills. A range of theatrical styles and dramatic conventions are progressively introduced, teaching students to manipulate dramatic elements to communicate with meaning. In Senior Drama studies, students employ technical and digital literacy skills and experiment with performance technologies, including sound, lighting and contemporary staging. Students also develop analytical and higher-order thinking skills as they view and respond to professional live theatre. Drama at Girls Grammar also provides unique industry links for students through artist-in-residency workshops with both local and international professionals. As more organisations value work-related creativity and innovation, drama processes and practices will help girls develop skills for a range of career pathways. Visual Art fosters curiosity and imagination, and teaches students how to generate and apply creative solutions in various problem-solving contexts. 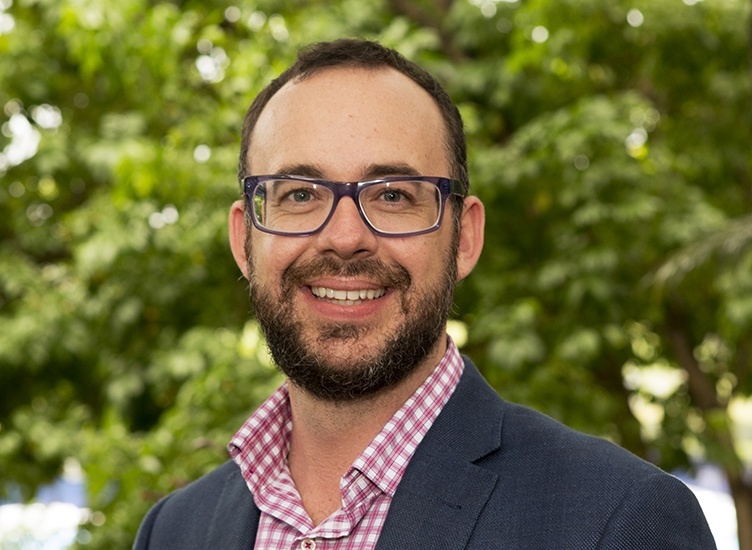 The curriculum progresses from a teacher-directed format in the early years, to student-directed in Year 12. During Year 7, girls acquire an understanding of visual language and knowledge of artworks while developing key skills and techniques, including drawing and construction skills. In Year 8, painting and digital photography and video are undertaken and built upon in Year 9. In Year 10, students broaden their technical skills, and are introduced to deep analysis and artwork appreciation in preparation for the senior years. 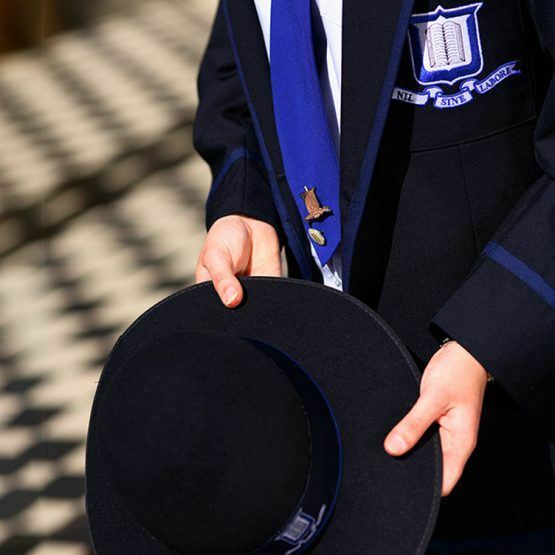 The courses of study in Years 7 to 10 are stand-alone, and may be taken by any student with an interest in visual art. Over time, students are exposed to different two-dimensional, three-dimensional and time-based approaches to art, including digital photography, sound and video. Contemporary in focus and scope, the Year 12 course allows students to pursue their own pathways within the structures of the syllabus and prepares them for artistic pursuits beyond school life. Music class captures the many facets of what it means to be a musician. Students are exposed to the science and rigor of music, and the creativity and physical practice of making music on instruments and with voice. Through listening and inquiry, girls also explore the humanity of music. Students become well-rounded musicians who understand music deeply and have the confidence to create music of their own. A variety of learning experiences are offered, including singing, playing on instruments in small ensembles, and writing and recording contemporary and classical music. As girls hone their performance, composition and analytical skills, they will also discover the storytelling power of music and how historical events impacted composers. As their artistic understanding broadens, the girls’ enthusiasm for ongoing learning and global citizenship also grows.